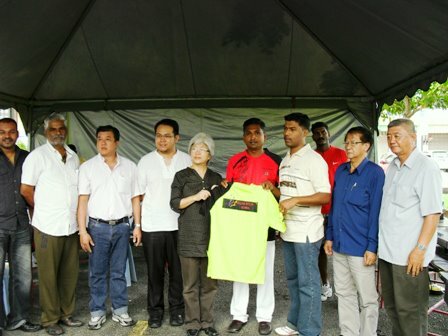 On 2 October 2011, I sponsored a community programme organised by Kelab Belia Alma (Alma Youth Club) which took place in the Indian-majority community at Alma Estate, Bukit Mertajam. The sponsorship came from my allocation as MPSP Councillor. 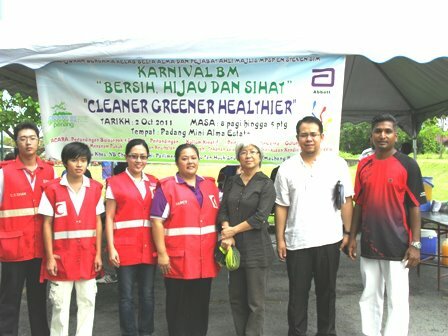 The programme, “Cleaner Greener Healthier Bukit Mertajam Carnival” was aimed to support the Penang State Government’s “Cleaner, Greener Penang” campaign and to spread the awareness to the estate community on the importance of personal health and hygiene as well as environmental cleanliness. 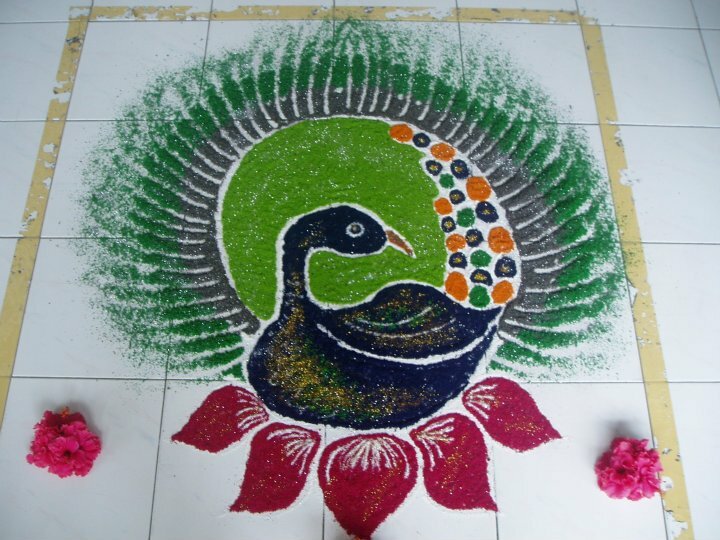 Among the activities at the one-day carnival were free community health check, first aid demonstrations, football tournament, tree planting, children colouring competition and kolam (Indian floor art) making competition. About 20 teams consisting of 100 players from all over Bukit Mertajam and Penang took part in the football tournament. YB Chong Eng, the Member of Parliament for Bukit Mertajam opened the carnival in the morning and kicked off the event with the planting of a semambu (neem) seedling. Also present was other community leaders including JKKK chiefs from Taman Sri Rambai, Taman Impian, Kampung Permatang Tinggi and Taman Sri Kijang. Free community health check provided by a team from the local government clinic. The glucose test equipment was sponsored by Abbot Malaysia. 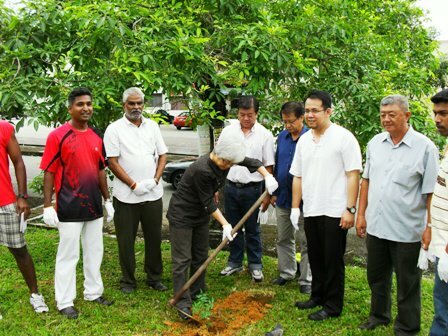 YB Chong Eng kicked off the Carnival by planting a neem tree seedling. This was the first of 20 neem tree seedlings planted that day along the Alma Estate field. Neem trees have long been considered by the Indian community to be very beneficial for its anti-bacterial properties. Photo session with the Bukit Mertajam Red Crescent team who gave first aid demonstrations to the participants of the Carnival and members of the youth club.